This year saw Google introduce its new ranking algorithms that gave Webmasters and bloggers a rude shock. The introduction of Penguin and Panda 2.0 updates by Google adversely affected SEO rankings of millions of websites. 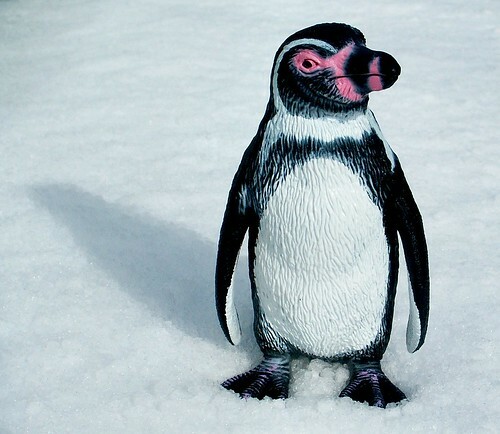 SEO and Google Penguin Update are closely related as the latter severely affects the former. Google Penguin is designed to explicitly aim at websites that practice manipulative tactics to improve their page rankings. Sites that have been using keywords with no reference to the content or provide back links to unrelated sites in a bid to improve their page rank find themselves ruthlessly targeted by Google Penguin update. Google is not through with its updates yet; and the updates so far have impacted a huge number of sites across the internet making their rankings drop drastically. Webmasters are reeling with the after effects of the updates and find it impossible to exist with the low rankings. For those who do not understand algorithms, there is just one advice – stop trying to manipulate SEO rankings. The new algorithm introduced by Google identifies SEO strategies employed by webmasters to attract search engines rather than satisfying actual human traffic. In the past content available over the internet focused mainly on SEO; as a result the net is swarming with substandard and poor quality pages that lack relevant material. The webmasters were happy because search engines drew traffic to their pages and they earned through back linking. However, all this has now changed. Google does not rank such pages. The webmasters have only two choices available to them, if they wish to see their pages ranked again. They either revise the pages and develop them in accordance to the new Google policy or delete the pages from their sites. Sites will also need to remove link farms and any other back linking procedures they have been using. Webmaster’s can use Disavowal, a tool provided by Google that makes it simpler for them to clear all the back links. The best way to improve page ranking is through well written content; that is informative and reads well. Webmasters must focus on the content rather than keyword optimization. Content needs to be written with humans in mind and not for the search engine. When this is done keywords fit in naturally in the content instead of being deliberately fitted into it. Google now wants superior content instead of keyword stuffing. No special tricks are required to tackle Penguin updates. All you need are good practices. You can no longer cheat search engines; so don’t even attempt it. It would be better to draw traffic to your site through high quality content. If you provide great articles, the search engine will automatically locate your site. Learn to differentiate between quality and low standard articles. Aim at maintaining a first-rate site which provides excellent content. It should appeal to the people both aesthetically and qualitatively. Keep it interactive as well, as it adds a personal touch to the site. This article is written by Johan Hedin, M.D. of Marketing Ignite, the SEO Thailand Company.